Hey folks as we were posting about the rumors about new Jailbreak tool Rubyra1n which is owned by Geohot. This news was roaming like a fire in the Jailbreaking community. 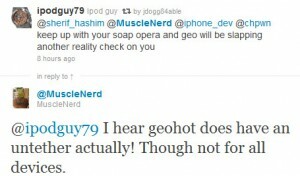 But this is confirmed by a Tweet from Musclenerd that Geo hot has got some Untethered Exploits but not for all iDevices. @Musclenerd: keep up with your soap opea and geo will be slapping another reality check on you. @Ipodguy: I hear geohot does have an untether actually! though not for all devices. Now that was rude with @Musclenerd. Any ways we came to know about the Untethered news. 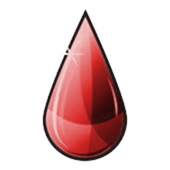 So the new Untethered Tool of Geohot can be Rubyra1n. And we have told you before that Rubyra1n’s website going to be launched soon. Stay tuned with us we will keep you up to date as soon as we came to know about any E.T.A for the launch of the new Jailbreak Tool. Follow us on Twitter and keep visiting our Facebook page to stay up to date.